Ladies 14kt yellow gold estate earrings. 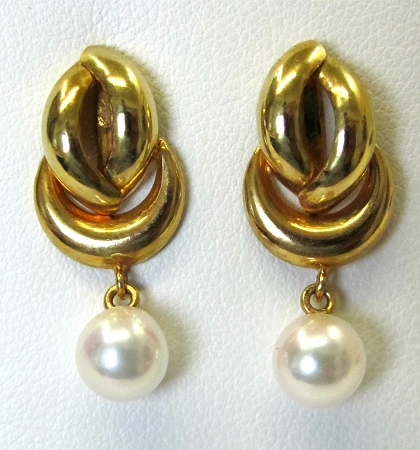 Earrings contain 2 round pearls. Pearls measure around 6.75mm round. Earrings have push on backs.